While most Canadians don't earn enough to pay off their taxes until sometime in late June, Canada's businesses will have reaped sufficient revenue to pay their year's share by Jan. 30. Corporate tax freedom day continues to get earlier with each passing year thanks to generous government tax cuts, the Canadian Labour Congress says in a report issued Tuesday. 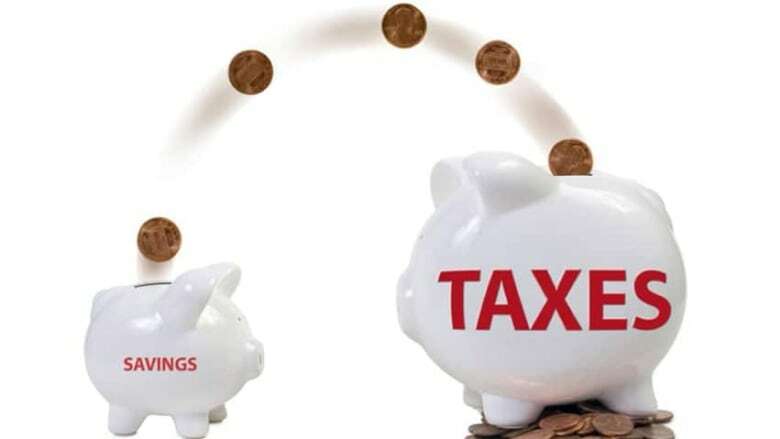 While most individual Canadians don't earn enough to pay off their taxes until sometime in late June, the labour group says the country's businesses will have reaped sufficient revenue to pay their year's share by Jan. 30. The calculation is for 2011, but the CLC says that was two days earlier than in 2010 when it came on Feb. 1, and notes that it was not long ago when so-called "corporate tax freedom day" came much later in February. It was likely even earlier in 2012 and will be again this year, since in 2011 Ottawa had not as yet reduced the federal corporate tax rate to 15 per cent. That was accomplished in January 2012. The new report, released Tuesday, attempts to make the case that Canadian firms have benefited greatly from years of Conservative and Liberal government tax policies, which have cut business levies more aggressively than personal taxes. But in response to a question in the House, Finance Minister Jim Flaherty accused the CLC of supporting higher taxes for firms and failing to acknowledge the country's record in creating jobs since the recession. He added that business investment had increased by 6.2 per cent since the 2008-09 slump. "Our Conservative government is focused on leaving more money in the hands of investors, entrepreneurs and ultimately, growing the work force," he said. In the new analysis, the labour group says business taxes represent only 8.3 per cent of the federal and provincial revenue in 2011, down from 8.8 per cent in 2010 and around 11 per cent in the 1960s and 1970s. It attributes most of the change to a steady reduction in the federal corporate tax rate, from 28 per cent in 2000 to 15 per cent today. Provincial rates have also declined, but not as dramatically. But while the rationale for reducing corporate taxes is to encourage investment and job creation, the CLC says most of the money has gone to fatten corporate bank accounts and to pay the high salaries of executives. Quoting Statistics Canada data, the labour group notes that cash reserves held by private non-financial corporations in Canada ballooned to $575 billion in the last quarter of 2011 from $187 billion in the first quarter of 2001 — despite three of those years being deep in recessions. Between 2010 and 2011, corporate cash reserves grew an extra $72 billion, while the federal government was reporting a $33 billion deficit. As well, compensation to chief executives in Canada's top 10 non-financial firms averaged $11.9 million in 2011, the CLC says. "Corporations in Canada are taking advantage of corporate tax cuts, but they are not necessarily using them to invest in productivity and jobs," the report argues. "Instead, they have accumulated billions of dollars in cash reserves." It estimates that had the federal corporate tax rate stayed at 21 per cent, where it was when the Harper government came to power in 2006, Ottawa's revenues would be $13 billion higher, which would allow it to eliminate the deficit sooner. The CLC notes that Bank of Canada governor Mark Carney has also lamented the "dead money" phenomenon. Business groups have dismissed Carney's criticism, saying firms have increased cash buffers since experiencing a credit squeeze during 2008-9 recession. They add firms will invest more once there is less uncertainty. Gregory Thomas of the Canadian Taxpayers Federations adds that many companies have been able to use their cash reserves to survive the economic downturn. "These CEOs, if they think they can make a buck on an investment, they'll make it. They are not going to spend their nest egg if things are looking scary." The CLC report gives the top prize for corporate hoarding to Teck Resources Ltd. with $4.3 billion, followed by Suncor Energy Inc. with $3.8 billion, and Bombardier Inc. with $3.3 billion. The Top 10 also included George Weston Ltd, Barrick Gold Corp., Research In Motion Ltd., Husky Energy Inc., Goldcorp Inc., Kinross Gold Corp. and Magna International Inc.